New album: "Out Of Silence"... Is he bringing us along for the ride? One thing I'm enjoying about the new group of songs is that the harmonic pallette is much more adventurous, say in a song like Terrorise me. There can be beauty in simplicity too, but there are more twists and turns in melody and chord progressions on these groups of songs and I think the way they are arranged brings those elements to the fore. I was listening to just the audio from the webcasts and I definitely think it's a very strong set of songs. Classic Neil Finn melodies and lyrics, just beautiful stuff. At the same time, I was thinking about my earlier post in another thread about this album and its process, as well as Neil's historical creative process from composition to album release (as I understand it) and I can't help feeling that many of these songs would have benefitted from being more uniquely arranged for each individual song - especially that magical alchemy that happens when he translates piano composed songs to guitars and other interesting arrangement and production approaches. I can hear many of them improved by being sped up and moved to guitars, more in the CH or One Nil/All way with all the eccentric touches that give each song a signature. The hooks would leap out more, the music would feel more muscular and assertive, enhancing the gorgeous chord changes and making intricate harmonic musical development within the arrangements clearer. I think the album will be wonderful and the mix will clarify and help each track feel more distinct from one another, but, at the moment, at least, I tend to agree with those who feel the form has overwhelmed the content in this instance. I will wait for the final results to draw any real conclusions, but I'm not positive this method of recording, in the end, didn't end up being more of a gimmick than the ideal way to make an album. It will be a beautiful Neil Finn album full of beautiful Neil Finn songs and I'll never complain about THAT. I just think this set of songs really could have benefited from an arrangement and production approach that harkened back to Neil's 1986-1998 years - where each song created its own sonic identity while still living coherently and comfortably within the crowded houses of its particular album. I don;'t know. These are just some initial, premature thoughts. 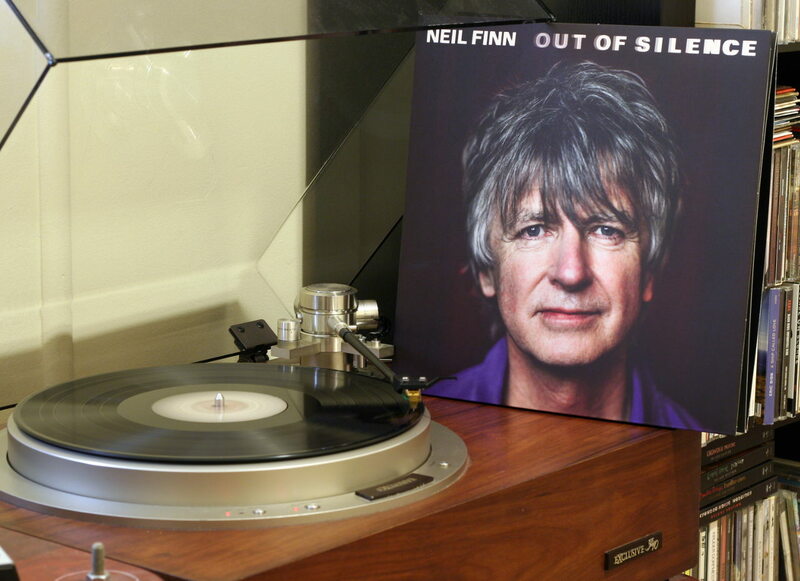 Time will tell - and time is virtually ALWAYS kind to Neil Finn's work. Neil just tweeted that they're done ("Songs all mixed, been mastered today"). That was quick wasn't it? Doesn't sound like much tinkering. Love the more minimal approach. Less is more! There's definitely been over-tinkering sometimes in the past production-wise.. I think the album will be wonderful and the mix will clarify and help each track feel more distinct from one another, but, at the moment, at least, I tend to agree with those who feel the form has overwhelmed the content in this instance. I will wait for the final results to draw any real conclusions, but I'm not positive this method of recording, in the end, didn't end up being more of a gimmick than the ideal way to make an album. I have been talking to a non-internet Finn fan friend of mine over the past weeks following these webcasts, and the thing that keeps coming up in our discussion is the missing hooks. That is the missing element in many of these songs. I don't think that is due to the arrangements. For example, Catherine Wheels and Try Whistling This are very slow, quiet Finn songs, but the way the chord changes and melodies twist and turn is full of hooks that I don't hear in songs like Terrorise Me or Widow's Peak. I truly doubt that Neil meant this exercise as a gimmick in any way. I think he did it to force himself to stop over-tinkering. Neil just doesn't strike me as a gimmicky type of guy. I agree, what comes across in all the interviews surrounding this is that he just wanted to get them out there. Now. As a little group by themselves and not as a "Look at all the different things/styles I do" album, since many of the songs seem to have their roots in one and the same night at the piano. Hence also no tour; I think I remember him saying something along the lines of "I haven't really thought this through beyond recording it". If Neil were into gimmicks, he'd be more into the promotion aspect of his work in general, I think. Which he hasn't been in the past. "..but the way the chord changes and melodies twist and turn is full of hooks that I don't hear in songs like Terrorise Me or Widow's Peak.."
It's interesting how we all hear things differently. I can think of few other Finn related songs with more twists and turns / chord changes than the (second half) of Widow's Peak..
By the way, how do you include a quote from someone else's postin a reply? I definitely hear melodic twists and turns and lots of chord changes in Terrorise Me and Widow's Peak, but I find them dissonant, rather than pleasing to my ear like the ones in Catherine Wheels and Try Whistling This. Therefore, I don't consider them hooks, because they don't hook me. . I have been generally hearing fewer hooks (or at least my kind of hooks) in Neil's music from Intriguer forward. To quote a post, click "Take Action" on the bottom right of the post you want to quote, and you'll find that option. If this doesn't sound too bleak, I've often wondered if musicians lose their gift for melody and hooks as they get a bit older. I'm sure there are countless examples to the contrary, but I was a teenager in the 90s and 00s who listened to a lot of artists who'd been big in the 60s /70s, and I noticed as I followed their back catalogues through to present day, later material tended to lose a bit of spark. This isn't what I actually came on to post - I just got sidetracked by the interesting discussion about the hooks in these new songs. What I wanted to ask is... Is Tim just featured on the album recording of Alone, or does he play (or even co-write) several songs? I echo what others have said. This isn't an album of hooks but rather Neil's melancholy piano album. Every album has a different style and flavor. I'm guessing the Neil/Liam album due out in January may have more production and hooks. Tim is only present on "Alone"; singing and playing guitar. I don't know yet who wrote it, but I expect Neil and Tim. Personally, i'd have preferred the choir ascend the risers dressed in orange blazers. All said, it was an amazing month of sharing. My mind has changed several times on my feelings about the style of this album. When I heard the "band" tracks on session two (three?) I looked forward to some variety being in the final product. When I listened to session four, I felt a bit disappointed about the "samey" feeling of everything, especially the last 3-4 tracks recorded. Admittedly, most of my time spent on the sessions has been having it in the background while at work or otherwise occupied, so I haven't exactly immersed myself in it. I'll save that for the final product. But in the midst of my (mild) post-four disappointment, I thought about my fondness for Tim's "The Conversation" disc, probably one of the most "samey" of all Finn-related efforts. I love that whole disc, and the picture it paints, so I'm trusting that "Out of Silence" will eventually stir the same feelings in me. There's no doubt in my mind that the songs are great, I just have to give it time to reveal itself to me. I've been listening to the webcast tracks and loving the "samey" feeling. I'm a sucker for an emotional piano ballad so I'm sure not everyone feels the same. I could listen to Neil play an entire concert of piano ballad versions of his old songs in his "Largo"-style. I respectfully disagree. There are hooks all over this album. Brilliant chord changes and evocative lyrics aplenty. It's a really strong set of Neil Finn songs. I'm just suggesting that if one were to the these exact same songs and speed about half of them up a bit and apply the same arrangement and production approach used in his 1986-1998 period, more guitar-driven and more eccentric, unique touches that create an individual identity for each track, the results would be really interesting, fun and different. Not BETTER, necessarily, but it would certainly negate any of the complaints I've read about the songs sounding "samey." A stately, heavily orchestrated group of beautiful piano ballads is a valid, great concept for a Neil Finn album and I'm happy to have it. A "song" is made up of three elements: the chords, the melody and the lyrics. How one approaches the arrangements performance and production of a "song" can completely change the how that song is received/perceived. My point is that I would also love to hear these same songs approached in the CH way. I think it would be a revelation and show how durable Neil Finn's songs truly are. I know this may be sacrilegious, but I just created my own "Out of Silence" playlist and made a couple of edits. I included Neil's song "Guiding Star" as the closing track and it fits perfectly ... for me. The piano and lyrical content of "Guiding Star" sounds so good right after "I Feel Different". I also added the week 3 version of "Serious In Love" which I adore. So here is my playlist. Interested if others are creating their own playlists and what they made be. I'm sure I will when I have time. My desktop is in the shop, so I haven't been able to "acquire" the webcast songs, but I will definitely add back Serious In Love, and probably will do the James/EJ sung one that didn't make the cut. I liked it. I do like Guiding Star, but I prefer to stick with songs from the same time frame, though I can see how it would fit. Ray of Hope sounds a lot like it, and would probably work as well. Having listened to Out Of Silence several times now, I'm pleased to say this isn't a criticism I would level at Neil. I find this new set of songs as hooky and melodic as ever, and can imagine them gracing any of Neil's previous albums (with collaborators, bands or solo) albeit with different arrangements, as it feels like he's tried to heighten the tension and spookiness in some of these productions (like how the vocal harmonies almost seem to be singing a discord in Widow's Peak). It's going to take a few listens to feel properly acquainted with the material, but Chameleon Day is really jumping out to me. Listening to it travelling through the mist on the way into work this morning, it sounded so beautiful I was almost crying. I wonder if it's more complacency than old age. I think McCartney is an example of this. On the other hand, Paul Simon seems to have had a resurgence of inspiration in his last two records. Agree that Out of Silence is full of delicious hooks. I think the discipline of finishing the songs before recording has really benefited this album. Esperanza Spalding, a jazz bassist and singer/songwriter, announced at the end of July that in September she will write and record an album in 77 hours, all streamed on Facebook. Interesting timing, no? Neil surely began official preparations for Out of Silence many months before this August. I wonder if Esperanza (massively talented btw) caught wind of this somehow? She doesn't mention Neil in the interview but you have to wonder. Her project is ambitious but smaller in scale (she's not using 35 musicians for her album, that I know of) so I'd assume her project was conceived and finalized after Neil's. I'm jonesing from the absence of August's glory. Ever so grateful for getting to go along for the ride. Thanks to and for, all concerned. I guess the one thing about Neil doing it this way is it reinforces my penchant for listening more to the live you tube versions rather than the mixed albums even after all these years. The space invaders doof on Second Nature is distracting to me after hearing all those lovely takes live. I feel that way with a lot of the flourishes on the album. I must also say ,with thanks to Neil ,that because the album came out so quickly after the road test the pang for the original versions was lessened. I don't think I have ever gotten over the how Car Collide morphed. but Would you put any of that up with his pre- Pepper, works? Neil has been more consistent throughout his career. I agree "Divebomber" is a VERY challenging song in its final form on "DH," but if you get a chance to hear Neil play it solo on piano August 31, 2013 at Largo at the Coronet in Los Angeles, CA (which can be found on the Jane Music site http://torrent.janemusic.org/browse.php). you might discover, like me, what a stunning song it truly is. He really messed up its organic beauty with that production approach. As a simple piano/voice song - it's astounding. I completely agree with you about "Divebomber". I hated the studio version but fell in love with the live version which is off the charts brilliant. Here it is ... enjoy! That's amazing, as well. I think that's from 2015. It still presents the song in a much more appealing, understandable form, but the simple, solo piano and voice recording with the orchestra from August 2013 mentioned above is still the one that kills me the most. It's so worth hunting down. In fact, most of the "DH" songs that he first tried out live in 2013 just solo on piano really come to life in ways that allow them to peek out from beneath the "DH" production easily. Then again, Neil has always tried out new songs before recording them and it's gotten to the point where there's almost no "definitive" version of any of his songs - only subjective, personal favorites from among the various live, demos, studio cuts, mixes and outtakes. He's like Dylan in that way. Or Van Morrison. Wow. I like that much better, but I'd still like to hear it sung in a lower register. Not a big fan of Neil's falsetto; he's no Barry Gibb. That's funny. I agree about the falsetto and I know it bothers some a lot. I wonder if Neil is a fan of Bon Iver who is a true master of falsetto just like Barry Gibb. Would love to hear Bon Iver cover "Divebomber". Any thoughts about if anything was done to vocals post production for this album though ? ! Having said that however , Neil has so many songs I greatly prefer . Meantime, loving the piano Dive Bomber, but rather surprised at the lack of DH love... I still think it's a great album, better than Intriguer to me without doubt, and compared with his previous solo album, MUCH better. The fact that OOS is completely different and yet really good...is just another reason to love it. I definitely like this album more than Dizzy Heights overall yet the song 'Dizzy Heights' I feel is quite a it better than every track on Out of Silence. So there you go. I genuinely really really like every song except 'Chameleon Days', 'Second Nature' and 'Alone', but those songs are pretty decent too. Still can't stand the boring cover though. Zero imagination.